With incorporation of modern technology concepts and fulfilling the quality parameters we dedicated in offering suitable used machine to suite needs of our clients. We manufacture and supply a comprehensive range of cone winding holders and spares for machines like textool rt 95 and rjk machines. These can also be customized based on different sizes, dimensions and other specifications as preferred by our esteemed clients’. 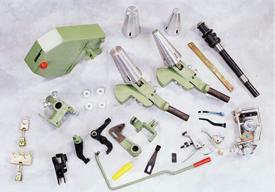 We also supply spares like cone holder assembly, tension device assembly and other spares based on its part numbers. 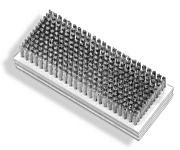 These are highly durable, have a long service life, are cost-effective and resistant to corrosion. We manufacture and supply a wide variety of Textile Machinery Spares or Cones. Our range mainly comprises of Spinning Machine, Automatic Winder, Sueding Machine, Processing Machine and Shearing Lafer and Cone Winding Holders and Spares. 2. L.R. Drawing DO/2, DO/2S. 3. L.R. Simplex L.F. 1400, LF 1400 A&L.R/G.S. 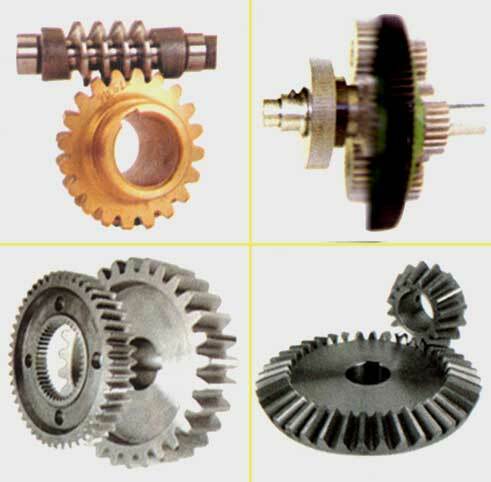 All type Textile Machinery Spares. d) Ring Spinning-D.J./50, 5/A, 5HS, N.M.M. M.E. and also 1. Gearwheels 2. Pulleys 3.Sheet Metals & Springs 4.Wooden Accessories 5. Leather Belt & Timing Belt and all type of Textile Cleaning Brushes 6. leather Aprons & Synthetic Aprons. 7.Special Brushes 8. Spinning Pneumafil Units, Cone Winding Pneumafil Units, Pneumafil Fans (Impellers) (ES) Fans & Pipes. L.R. S.K.F.& W.S.T. Top arm reconditioning Aluminium and M.S. Flyer balancing, spindle re-buttoning and Hank Indicator works, Pocker Rod Re-conditioning & Conversion. (G5/1, LR6/S, DJ/5) Comber Nippers, Re- needling & Servicing. We are undertaking all type of Textiles Machine Shafting, servicing and Re-erection. Note: Meanwhile we are expecting your moments,in near future.